Arrive at the Wuzhen water town-Mr orange driver will guide you to walk from parking lot to the main entrance of the Wuzhen water town. then you will visit the water town on your own. Wuzhen water town–Based on China’s old arrangement of channels, water towns have very nearly a thousand years of history. With structures, roads and waterways unaltered for quite a long time, China’s water towns are lovely to see and an intriguing mirror into China’s past.Encompassed by system of lane ways and waterways, Wuzhen close Suzhou is China’s most prominent and beguiling water town. Wuzhen is an absolute necessity see travel goal for anybody making a trip to Suzhou. You will have 4 hours to discovery the Wuzhen water town on you own. There are many restaurants in Zhouzhuang water town, some of them are with English menu, it is ideal time for you to have a taste on traditional Chinese local food, to choose a restaurant near to the water way is highly recommended for it’s beautiful views through window. This museum is the first museum that is devoted to many collections and also displays of the antique beds. In this museum, there are many exquisite’s examples of the unique or original style, the oldest dating which is back to the Ming Dynasty. In this museum, it efficiently displays the Wuzhen’s customs concerning birthdays, childbirths, weddings and also seasonal change reflecting the entire time in the late 19th and even in the early 20th centuries. This is one of the workshops which effectively display the culture of wine brewing. One of the wine brewing cultures is known as sanbai wine which is a famous alcoholic drink that usually pleases the palate mainly with its soft and also lasting mellowness. This workshop was first founded in this state in late 13 century. In this place, you can look at the production base and also distribution center of the indigo cloth. This is one of the old and also traditional styles that is a form of play or entertainment that is created by projecting the entire shadow of sheep, cattle, and even other conventional character hidden onto the screen. Additionally, you can enjoy the classics that are performed by local artist. Additionally, there are other sites to see in these places thus it is advisable to visit this place. Go back to the parking lot and Heading back to your hotel in downtown Shanghai. Does driver speak English? What if I need any assistance in car? Our driver are professional and with years of experience, they are familiar with routes to your destinations and will provide you with a secure, reliable, fast and serene transfer service, although they only could speaking a little English, Communication would never be a issue, You are welcome to contact me via WeChat APP by using the FREE WIFI in the vehicle. Meanwhile, our driver would be very happy to contact me directly for you at anytime you wish to for a immediate assistance. 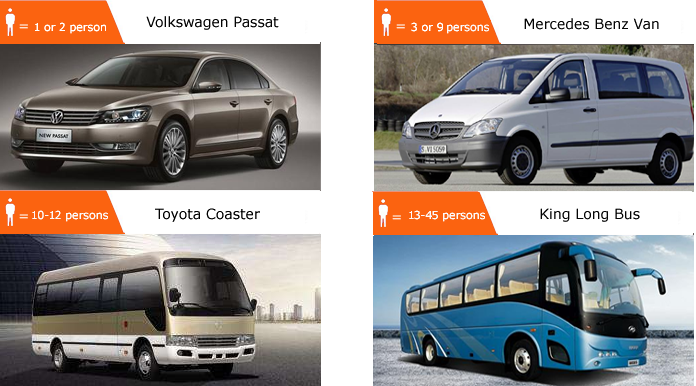 Our vehicles are licensed and registered in tourism administration.